There was a time in the not too distant past, when many believed the savior of pool had arrived. 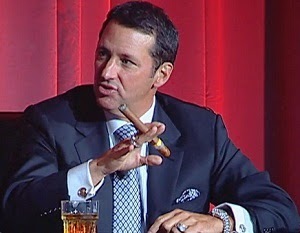 He was a smooth talking T.V pitchman named Kevin Trudeau who was seemingly stacked with cash from his success with "The Weight Lose Cure 'They' Don't Want You To Know About" and promised record breaking pay outs with his newly created International Pool Tour (IPT). He formed a friendship with the legendary Mike Sigel, who played a challenge match against Loree Jon Jones in the first ever IPT event. Sigel, the winner, received $150,000 while Jones received $75,000. This of course got everyone talking as these two payouts were higher than any top finish in any of the major tournaments at the time and would still be true today. Once his legitimacy was secured among the professionals they became his first supporters. As they began to buy up all sorts of IPT products such as racks, shirts and so on to help get the tour off the ground, our own Gerry "The Ghost" Watson even bought a Diamond table to put in his apartment at the time, which was the same table used on the tour, so he could practice. Some of these tables are worth $6,000 and more which is a major investment, however with promised payouts of $8 million in the first year, followed by $18 million and $28 million the following two years, Watson and many others were investing in themselves for a chance at a payday. Trudeau also knew exactly what to say to pull on the heartstrings of the people in the pool community. In past interviews he tells the tales of a nostalgic man who once worked in a bowling alley which had a few tables and how he enjoyed the action matches between the local hustlers. Then he goes on to talk about how he befriends one of his idols Mike Sigel and gets to witness first hand what struggles the pro's are going through and how he wants to bring pool to the forefront where it belongs. He was a real snake oil salesman when you look back at all Trudeau promised and how he falsely presented himself. In reality his promotion of the IPT tour was just another way to promote his weight loss book as the majority of commercial ads was his infomercial. I suppose it was kind of a ponzi scheme the idea being he would make even more millions with the new platform he had for selling his product and that would be able to cover the large pay outs he promised. However this was not to be, because shortly after the inception of the IPT Trudeau was getting in trouble for what the Federal Courts called "dubious sales tactics" and was ordered to pay a $37 Million dollar fine. He treated the Feds the same way he treated the professional pool players, with a very callus and unapologetic attitude refusing payment which is the reason why he was sentenced to 10 years in jail yesterday. With Trudeau getting in trouble with the law at the time his funds quickly dried up and payments for the players came in at 11% of what they earned one month at a time. This only lasted a few months until no payments came at all. Trudeau's response to the players who were counting on this money that they were never going to get was, "Even if we stopped paying the players right now, they'd make more money then they ever have before." Trudeau, of course, was referring to the poverty line payouts of before which is true but hardly a classy way to handle the issue, and it gives us a glimpse of who he really is. The Trudeau era was overall an unfortunate one for pool. I started playing 9 ball in 2007 while I was in college and it was when I really began being a die hard fan, and I remember all the damage the failure of the IPT caused the game. It jaded fans, promoters and players to such an extent that it has almost became faux pas to mention the creation of a world tour again which is what the game really needs. Trudeau's intentions were not pure and he did not have the best interest of the game or the players at heart, however his big picture thinking and his confidence is something promoters are lacking today. We need more risk takers as promoters because what Trudeau was trying to do is possible. If you go back and look at the ratings for the televised IPT events they were fantastic, he generated lots of hype and he had a great platform to build off, if it was managed properly. What we need to remember is pool itself did not fail to break into the mainstream, it had the support and interest of many, however it was run by a crook. There has been so many "failures" when it comes to the promotion of pool that promoters think it cannot be done. However it can, its just needs a little unity between the players and the promoters, standardized rules and something worth playing for. The buzz that the IPT caused when it was first announced is proof of this. Players started working out so they could handle the grueling schedule practicing 8-10 hours a day to get into form, which benefited the audience because it made the product better. Lets not kid ourselves with the current state of the game outside the the top 20 players in the world they are not travelling all over the place or practicing nonstop, they are at home giving lesson for next to nothing and many working jobs. Because its not feasible to put that much time and effort for 1 or 2 thousand dollars which is the average payout for a top finish outside one of the majors. Thus the promoters must ban together and figure out a way to have a proper international tour.